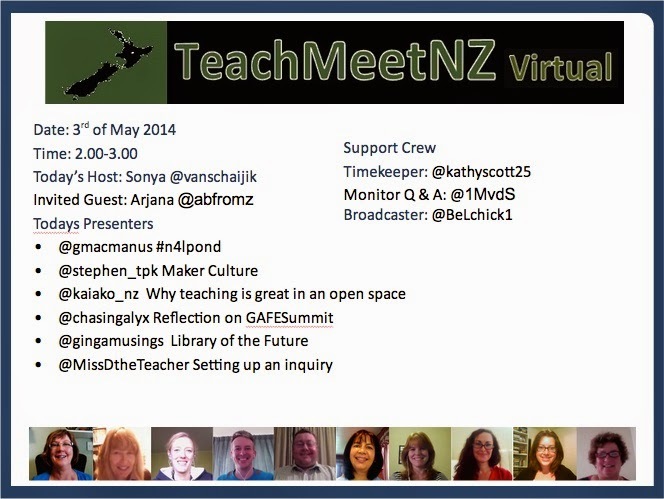 First week back at school this term and I was still finishing off TeachMeetNZ Anniversary session. On the 3rd of May we hosted our anniversary session. 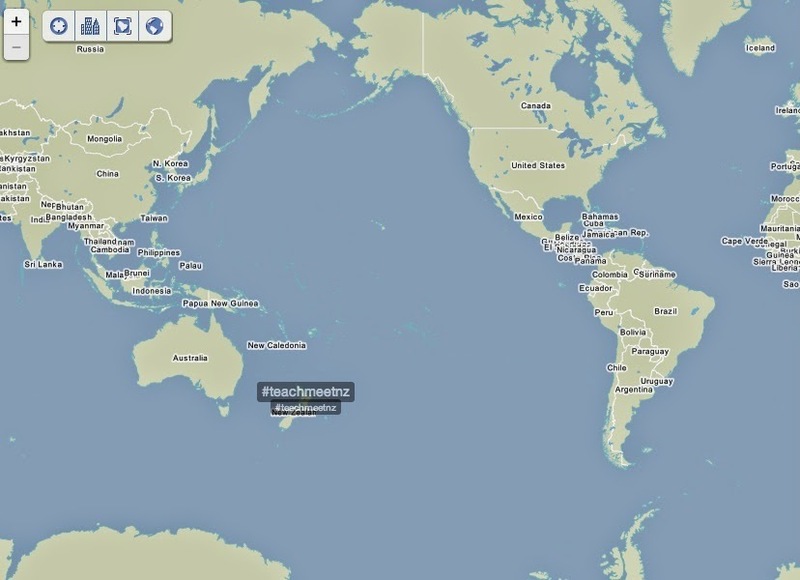 However the real date that TeachMeetNZ began was on the 4th of May 2013. Our invited guest was Arjana abfromzwho got up at 4.00am in her timezone to join us. She was invited as a mentor and guest and in true Arjana style she had a turn at presenting. Time Keeper was Kathy @kathyscott25 and she was also back up host. Kathy was one educator who had been with me from the start learning how to use the tools. She tinkles the bell to keep us on time. For this session we trialled Question and answer in hangout and worked at bringing in more participants. Marnel 1MvdS was my monitor for this new tool. The challenge she had was being able to see it from within a hangout. My fault, I was training the presenters but did not realise how difficult it was to see the questions from within a hangout. At the end of the session, Marnel created a storifi of the twitter feed. We trended again on twitter. We broke the 100 live time views mark on the day and 15 people watched the session right through. Our first session took 25 minutes to broadcast and this one took just over an hour. I have learnt a lot about my self from hearing the way I speak and direct teachers. Some of my learning include not to be so direct, giving positive, clear feedback and acknowledging the other educators who gather around me to ensure that the sessions run smoothly. These include broadcasting and helping with training. There have been 38 teacher presenters on the sessions and you can go and rewind their sessions here. The highlight for me is the reflective blogging that happens after the sessions. This is when the real learning happens for teachers as I think about how we can continue to get sidetracked with the product. I also learnt that with the Festival of Education GHO session I myself am unable to screen share. I love the way that the recording was live almost immediately after the session. Where to next? I would love to run a session with staff to share their inquiry. I am keen to have a try at running a virtual mini conference. Maybe call in past presenters to run their own sessions but all within a single hour period. Begin with one session where everyone can tune in and then push people out to various groups and pages on the wiki. It would be great to have questions and answers too from a virtual audience. Finally I am ready to run a discussion as is being planned because I can now operate the Q & A section on a hangout.